As the Human Resource Manager I wear many hats. I am the benefits coordinator, recruiter, trainer, labor law enforcer, personnel administrator, career counselor, and any other title you can think of that has to do with the employees of a company. I guess for part of today I didn't have enough human resource things to do and so, I got to thinking, "How did Human Resource departments come about?" "Are these resources different from non-human resources?" " Why the name human resources?" When I started out in the workforce there was no human resource department. There was a personnel department where you got hired or fired; there was payroll; there may have been benefits. These departments probably had a lot to do behind the scenes, and not as much to have offered me as an employee. I am not really sure though. So, I decided to do a little digging and here is what I found out. Human resources are the actual workers of an organization - the "Human Capital" if you will. This term was first used in the late 1800's after the Industrial Revolution with concerns of safety and worker abuse. The term "human resource" was subsequently used during the 1910s and 1920s as was the notion that workers could be seen as a kind of capital asset. 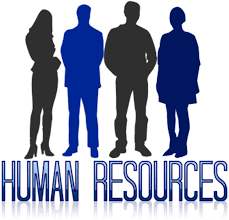 The first use of "human resources" in its modern form was in 1958. In the 1970's Human Resource Management was founded to deal with all employee related issues including company compliance with labor laws. • Determine needs of the staff. • Determine to use temporary staff or hire employees to fill these needs. • Recruit and train the best employees. • Manage employee relations, unions and collective bargaining. • Prepare employee records and personal policies. • Manage employee payroll, benefits and compensation. • Deal with performance issues. • Ensure that human resources practices conform to various regulations. I don't have a human resource specific degree that is so popular nowadays. My degrees are in career counseling and education (training and development in the corporate world). And given the origin and history, it appears I am in the right place.